Two Ton Brewing respects the ancient art of brewing and offers thanks to the modern masters who have preserved and imparted the tradition of our noble craft. We are honored to bring you a beverage crafted with our full attention and wrought from the labor of our body. 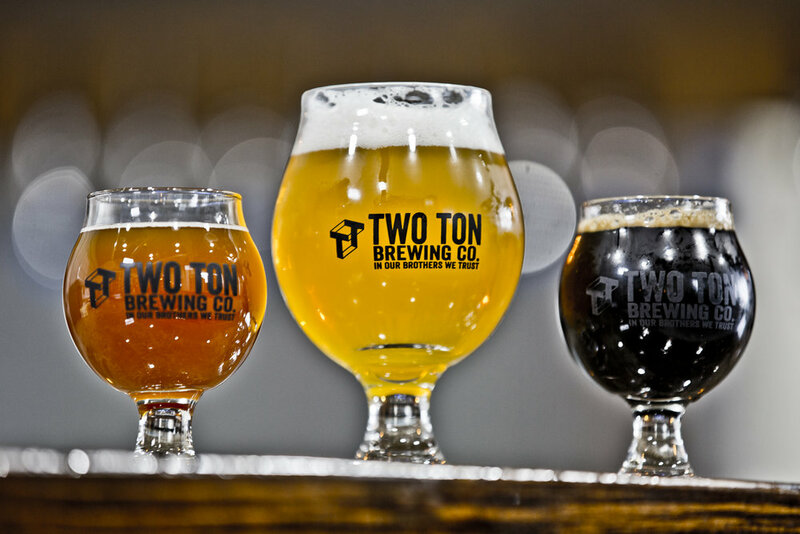 Two Ton Brewing Co. is a family-owned and operated company that creates well-crafted beer for craft beer drinkers. Our focus is on taste alone, and we honor the brewing process and the recipes with our full attention. We consider ourselves part of a growing brotherhood of craftsmen who respect and acknowledge the history of their discipline. Get A Preview of our new space! We opened our doors on the new production facility in October 2018 and we are pleased to be putting down roots in Kenilworth, NJ. Our new space features the production facility, main taproom, outdoor beer garden, library taproom downstairs and MUCH more. We hope you’ll join us and experience the improvements for yourself!